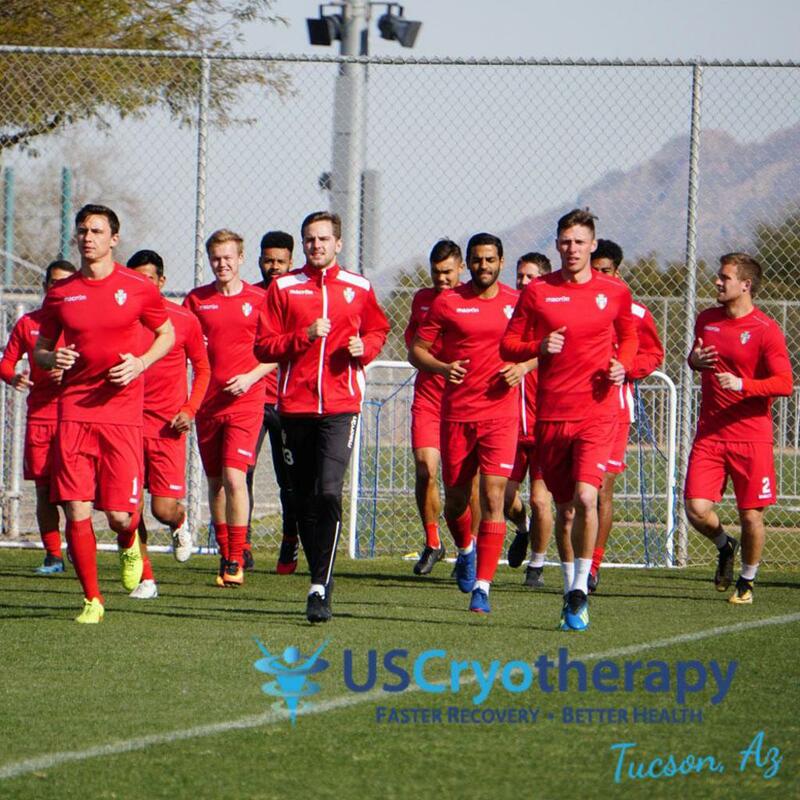 U.S. Cryotherapy Becomes Official Wellness and Recovery Partner of FC Tucson. U.S. Cryotherapy has treated over 1-million customers across the nation at 22 locations since founding the Cryotherapy industry in early 2011. TUCSON (March 11, 2019) — Today FC Tucson announced an official wellness and recovery partnership with U.S. Cryotherapy Tucson. The partnership will provide first-class recovery treatment for the club in its first-ever professional season. US Cryotherapy Wellness Center in Tucson (5575 E River Rd Suite 131) offers cold air treatments for a unique, convenient, and energizing new service which promotes faster recovery and better health with NO use of hazardous liquid nitrogen or chemicals. The entire body is exposed (including chest, neck, and head during the short duration session which uniformly cools the entire body). U.S. Cryotherapy has treated over 1-million customers across the nation at 22 locations since founding the Cryotherapy industry in early 2011. “US Cryotherapy Tucson is proud to serve FC Tucson by providing the same level of therapy recovery used by most US professional teams,” Danielle Burroughs, Manager, US Cryotherapy Tucson. “Our 4-person cryotherapy room allows teams to receive the benefits of cryotherapy in a safe and fast manner. Athletes competing at this level need every tool available to them, FC Tucson has demonstrated they are here to win." US Cryotherapy™ is a cold air therapy & equipment company based in the Sacramento, CA area. They operate Company owned wellness and recovery centers in Roseville and Davis, CA, Scottsdale AZ, and Redondo Beach CA (at Velocity Sports Performance). The Franchising Division currently has 17 active locations with various new centers opening around the country throughout 2018. US Cryotherapy introduced Whole Body Cryotherapy (WBC) to the United States creating the market in 2011, was the first and remains the only company offering whole body, walk-in chamber therapy using no liquid nitrogen for cooling. The C4 systems accommodate up to four people in the chamber per session and are all-electric refrigerated cold fresh air. There are documented advantages in areas of: safety, outcomes, and convenience using whole body walk-in systems. US Cryotherapy has become a global leader in WBC having administered over 1-million treatments since 2011 with exceptional safety, service, and customer experience reviews. US Cryotherapy contract manufactures its proprietary equipment in the US and directly sells equipment to various independent medical groups, sports teams, NCAA, and for home use as well. US Cryotherapy is owned and operated by the Kramer family. US Cryotherapy's Corporate Offices are located at 1490 Drew Ave, Suite 110 Davis, CA 95618. # 866-279-2796 www.uscryotherapy.com For more information. US Cryotherapy Tucson is located at 5575 E River Rd, Suite 131 and can reached at 520-829-7271.